Overall Season 3 of Telltale’s The Walking Dead, The New Frontier, stands as my second favourite in the franchise, offering a wider social look at the impact of the disaster through the lives it has touched. 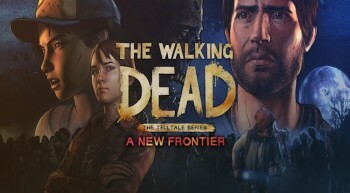 ffectively the fifth entry in Telltale’s The Walking Dead franchise, but the third main “season”, A New Frontier takes us back to familiar faces in strange new places. But can Telltale shake the smell of a lightly rotting franchise to return the series to its former glory? I LOVED the first The Walking Dead. Along with millions of others I sang the season’s praises offering it up as my own personal Game of the Year. Ever since that time it feels like Telltale have been chasing that same high with mixed results. In retrospect Season 2 was forgettable in many ways. Offering up mostly characters we cared little about or could form emotional bonds too. The story pace was all over the place, the tech was creaking and Clem, despite being a brilliant character, struggled to carry the show in the same way Lee had. The third season, A New Frontier, follows Javier and his family. 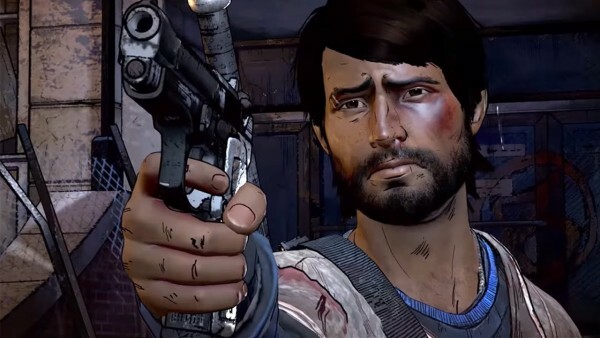 Introducing us to a raft of new characters and a new protagonist was a bold and, as it turns out, good move by Telltale. 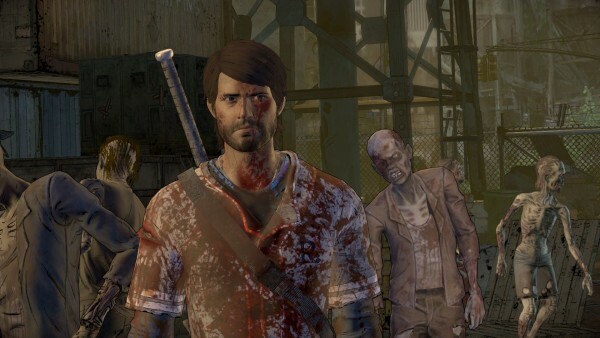 That’s not to say familiar faces don’t crop up throughout the season and it wouldn’t be a mainstream TWD game from Telltale if it didn’t feature Clem at some point. These new character introduce a wide selection of personalities to interact with. They seem to lean heavily on the “kids growing up in the new world” angle and make some shocking (yet often predictable) twists and turns along the way. Javier, his sister-in-law along with his niece and nephew offer up a look at what makes “family” and how parental figures can come from different places other than birth parents. 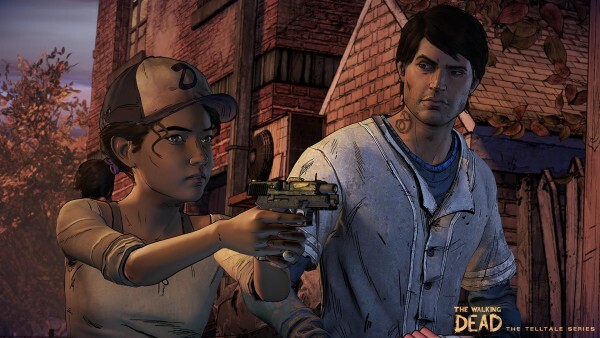 This theme carries through with Clem and young AJ from season 2. It’s an angle that is well done if a little rushed and cliche in places. Bringing his family to the makeshift town of Richmond opens up another raft of secondary characters and adds a new dynamic to the family unit. There are scores of interesting sub-plots in this season. Many of the main cast, beautifully brought to life by the sublime voice actors, are dealing with their own demons. I can’t say it makes you care for a few, when presumably you should, but it does at least propel the story in an interesting way. The season has its ups and downs with certain areas feeling like filler and busy work. What Telltale do manage to do is bring it all together in the last episode and resolve pretty much everything you could want. That said it often feels like these well spun character narratives you’ve been following for hours get wrapped up quickly and without their due attention. The final episode, by way of example, is about and hour thirty and I’d say a good portion of that is hands-off with the last two “chapters” being little more than cut scenes. 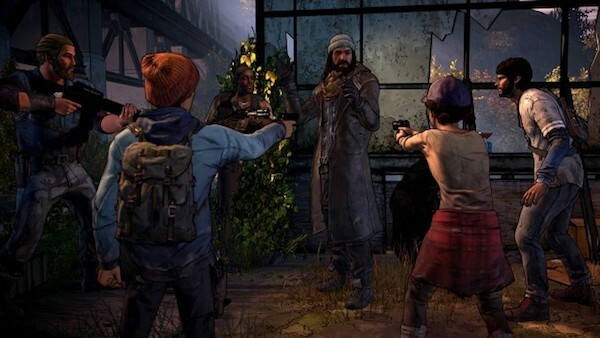 That said the whole series benefits from Clementine being a secondary character. It’s the dynamic that worked in season one and allows her character to expand more, making that transition from the child of the earlier titles to the young woman she finishes the season as. Decisions seem to be tracked much more often in this season with everything feeding into how other characters behave towards you in more subtle ways than before, even so far as to altering some of the final outcome based on general demeanor rather than binary choices. The usual slew of technical issues dogged the series resulting in a couple of crashes to desktop, some weird animations, keyboard prompts when I’m using a controller, entire scenes with nobody talking and, my personal favourite, lost save games and choices meaning you had to replay certain episodes again. Oh and it was a pig getting my other TWD saves across. In the end I had to take a copy (because A New Frontier destroyed the original) of my save and uploading it to Telltale’s cloud service so I could then download it to the game. Massive ball ache. 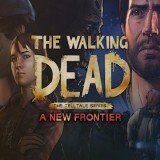 Telltale have done a good job with A New Frontier. It manages to get the series back on track in many ways but stumbles in a few key areas that stop it from reaching the heights of the first season. The underlying tech constrains what they’re able to achieve, offering characters that move with such robotic motions that you’re jarred from the world. Pacing is sporadic too and what used to be shocking twists are mostly cases of “of this again, of course it went this way”. That all said the whole season was a compelling story and at times heart/gut wrenching. It’s a shame things were tied off with such pace, leaving a feeling that you’d been shortchanged for your emotional investment in certain storylines. 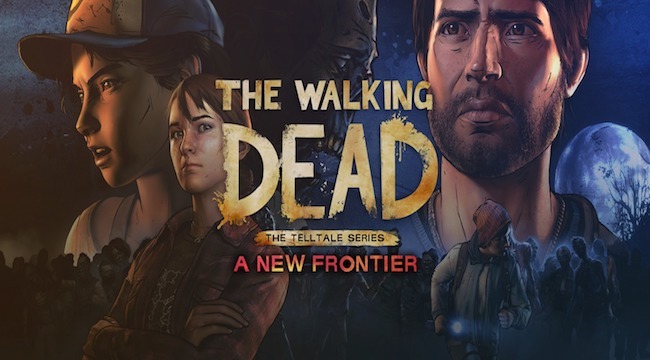 Overall Season 3 of Telltale’s The Walking Dead, A New Frontier, stands as my second favourite in the franchise, offering a wider social look at the impact of the disaster through the lives it has touched. The setups for the future season are very interesting and I’m eager to see what direction they go. That said I really hope Telltale take the time to overhaul their tech as what they have, is no longer able to cut it reliably.